The ear is a surprisingly complex organ responsible for collecting sounds from one’s environment and transmitting them to the brain for interpretation. Sound travels in the form of waves. When sound waves enter the outer ear, they cause the eardrum to vibrate. When this occurs, a chain of three small bones, called the malleolus, incus, and stapes, move back and forth. The stapes is connected to the inner ear. The hearing portion of the inner ear is called the cochlea, a snail-like shaped structure that is filled with fluid and lined with hair cells. When the chain of bones move, the fluid inside the cochlea moves along with the hair cells. Through a chemical reaction, hair cells transduce this mechanical energy into nerve impulses, which are sent through the hearing nerve to the brain. Different sounds move the hair cells in different ways; this causes the nerve cells to send different signals to your brain. The brain processes these nerve impulses and the result is the sound you hear! When there is a breakdown in the chain of events described above, hearing loss occurs. 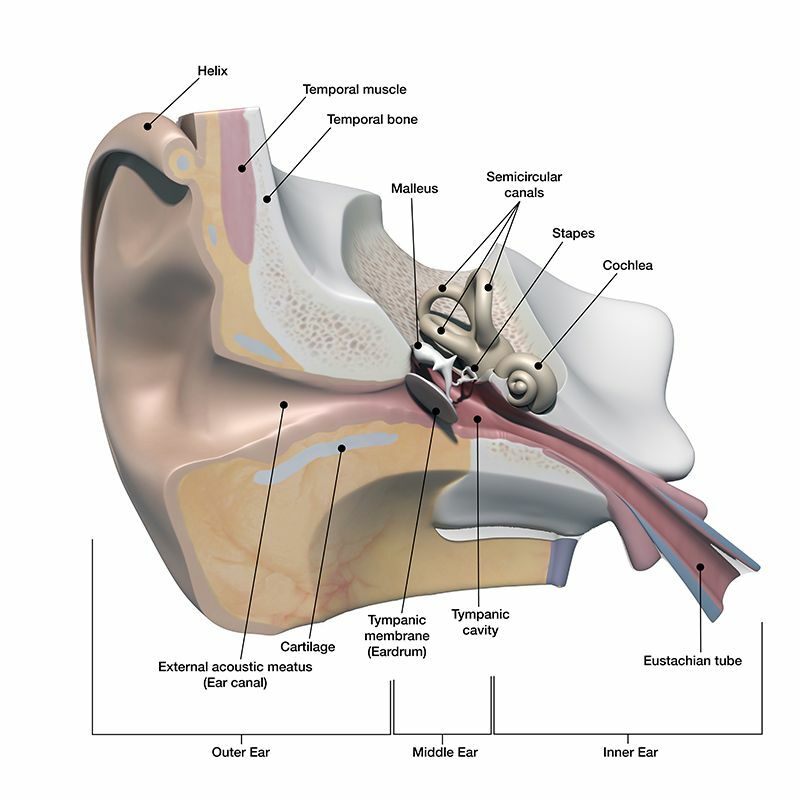 Conductive hearing loss occurs when there is a breakdown in the outer or middle ear. When the breakdown occurs in the cochlea or hearing nerve, the result is sensorineural hearing loss. A mixed hearing loss occurs when there is a breakdown in the outer or middle ear and cochlea or hearing nerve. A central hearing loss occurs when the breakdown occurs past the hearing nerve.